Located on the northern face of Mt. 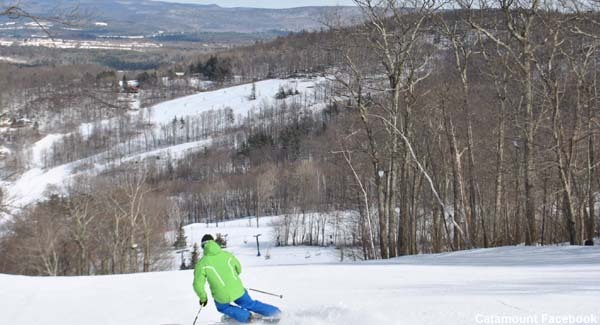 Fray on the Massachusetts-New York border, Catamount is one of the oldest ski areas in New England. Catamount's lift served skiing history dates back to either 1939 or 1940, when Jack Fisher cut trails on Mt. Fray. Catamount was in operation for the 1940-41 season with 3 rope tows, serving the lower mountain. While the new area quickly gained momentum, the onset of World War II halted its growth. As a result of the war, Catamount ceased operations circa 1943-45. Following the war, Catamount reopened for the 1945-46 season with 3 rope tows, 3 trails, and 2 slopes. 3 more trails may have been added for 1946-47, spanning 680 vertical feet. By the time 1948-49 rolled around, Catamount's lift infrastructure had grown to 6 rope tows, totaling 1 mile in length. Meanwhile, Fisher opened nearby Jiminy Peak with two other investors. Five more rope tows were added for 1949-50, giving Catamount the largest lift network in the East. 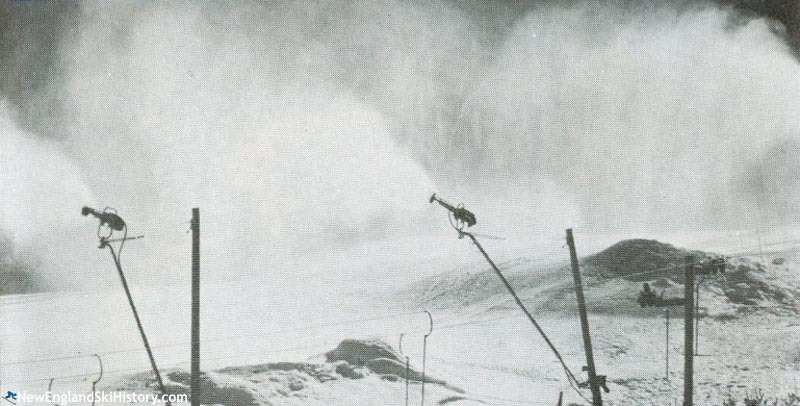 1957 brought Catamount's first T-Bar lift, as well as snowmaking. A second T-Bar was installed on the present day Holiday slope in 1960, serving novice terrain. 1961-62 was a big year in terms of ski area development in Massachusetts and Catamount. With new chairlift served ski areas popping up, Catamount expanded to keep up with the tide. The novice T-Bar lift installed one year earlier was extended, while a third T-Bar was likely installed serving today's Meadows area. The T-Bars were eclipsed by a new double chairlift, significantly expanding Catamount's vertical drop from 400 to 1,000 feet. Base facilities were also expanded to accommodate the influx of new skiers. Finally, Toni Matt, the first person to ski straight over the Mt. Washington Tuckerman Ravine headwall, took over the ski school. Matt had recently returned to skiing following a multi-year recovery from a shattered leg. 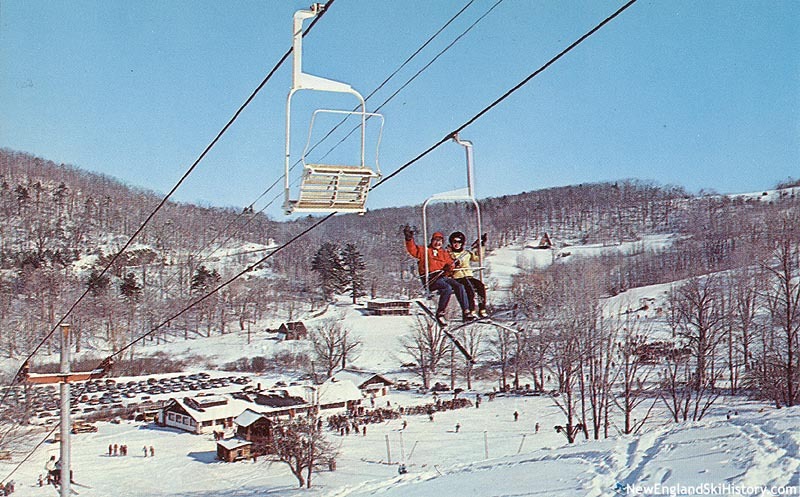 Catamount's next big improvement took place for the 1968-69 season, when the original T-Bar was replaced with an SLI double chairlift. Three years later, a second SLI double chairlift was installed, running adjacent to the summit lift. 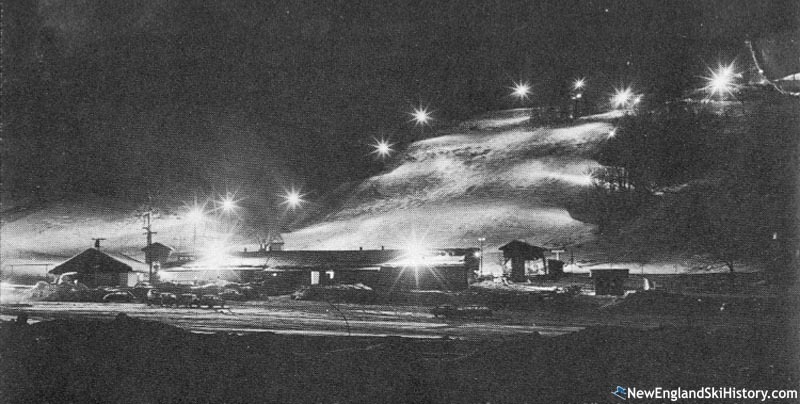 While Catamount had modern lifts and snowmaking, the poor 1972-73 season was too much for it to bear, resulting in bankruptcy. Catamount was acquired by Bill Gilbert, Sandy Gilbert, and Don Edwards that offseason. The trio had managed Fahnestock ski area and Silvermine ski area and created Sterling Forest ski area. In addition, Gilbert was co-founder of Snow Machines International (which later became SMI). Following the sale, major work was conducted on Catamount's snowmaking system. Four years later, the base lodge was rebuilt. Work on snowmaking and trails continued into the 1980s. Circa 1984-85, a double chairlift was installed in the Meadows area, providing novices and intermediates with open slopes away from the steep expert runs on the main mountain. Catamount's legendary double diamond Catapult trail was completed for the 1994-95 season. Starting in the 2000s, Catamount began modernizing its lift infrastructure. Initial efforts were geared toward novices, as in 2003 the Pussycat J-Bar was replaced with a Magic Carpet. Two years later, the Mountain View double chairlift was replaced with the Meadows Triple chairlift. In 2006, the 45 year old summit double chairlift was removed and replaced with a modern fixed grip quad chairlift, purchased from Belleayre ski area. The Catamount Aerial Adventure Park debuted in 2009, featuring zip lines, bridges, and other canopy features. A new trail opened in 2014-15, located off lower Sidewinder. A former trail name 'Fisher's Fluke' was brought back, honoring founder Jack Fisher. Longtime owner Bill Gilbert passed away in January of 2016. His son, Tom, along with Don Edwards' son Rich, serve as President and Vice President of the ski area.